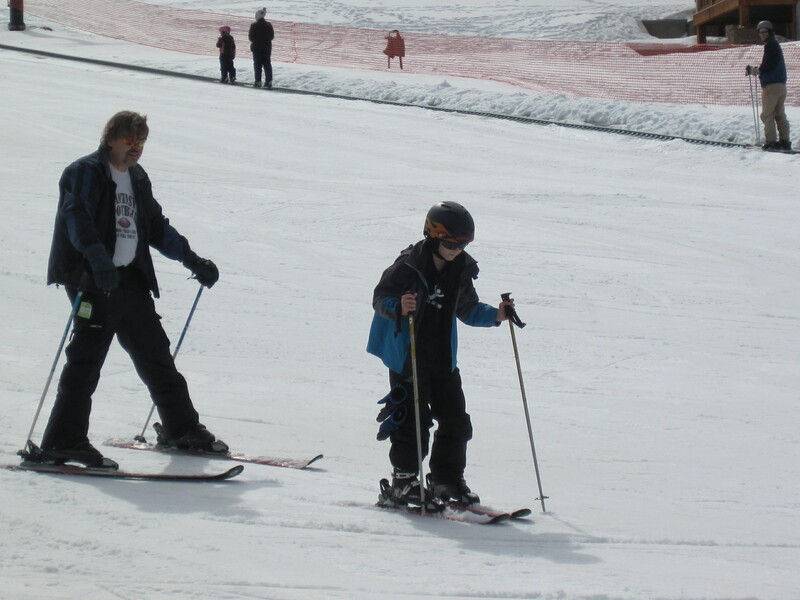 Woo hoo look at me I am skiing!!! There is a fabulous quote by German poet Johann Wolfgang von Goethe, “Thinking is easy, acting is difficult, and to put one’s thoughts into action is the most difficult thing in the world.” I believe that is why so many people do not fulfill their goals. Recently I was talking to a friend I had not talked to in a while and mentioned I was writing a book and she commented, “wow you decide you are going to do something and you just do it.” I felt such immense gratitude when she said that, because I have to confess this is new for me. I started working with an ontological coach, Lynn Erlinger, and she has helped me to see possibility and then take action from there. Our sessions are all about taking action, creating plans, achieving goals and best of all rewarding those accomplishments. Some people reading this will know me from my engineering world and may think this is not new for me. It’s interesting, goals and actions related to securing my family’s well-being or “bringing home the bacon” were never the difficult actions or goals for me to take. However, actions related to my well-being are the actions that, not only did I not take, I would not have had the courage to admit I even wanted to do those things. I mean really, that’s pretty selfish to want to do something just for yourself. Now I see things very differently. We all create our own reality, we can blame others for causing us to feel a certain way, but in reality we chose how we feel. There is so much power in that understanding, that we truly create our own reality. I have learned as part of my work with Lynn which actions empower my choices and which do not and most important that sometimes life is just messy. Through empowering myself I have in turn empowered my family and the results are amazing. I realize by “taking care” of things for everyone I was actually taking their power away. It’s difficult to understand how choices where you are sacrificing for others actually hurts them and you as a result, but it’s true. When the people who love you see you living your life to the fullest you empower and inspire them to do the same and it encourages us all to use the gifts our creator has given us. While many aspects of my life are in alignment, there is always more work to do and more action to take. I think the biggest difference in my state of being now is that I really do trust my journey and taking action from there is so exciting. I have come to understand that fear will always be there but intention is the focus of my action now. I am more excited about the possibilities of life now than I have ever been in my life. I could not agree with Mark Twain or Samuel Langhorne Clemens’ more, throw off those bowlines, cast your doubts and fears, trust the waters, sail away from the safe harbor, catch the wind in your sails, and do it for the thrill of it. Explore you goals, dream big and discover yourself. If you suffer from analysis paralysis or lack of trust and action is never taken or is particularly painful, remember what you are up to, what is your intent? Get exhilarated about your life, about your choices. You are given this one life to live what do you intend to do with it? What do you need? Do you really want indecision or distrust to keep you from living the life you deserve. So what’s next? Get clear on what you need and take action from there, go for it, create what you desire. The difficult part of taking action for me was overcoming my own inertia. My inertia was mainly fueled by fear, its ok to admit your afraid or you don’t trust. So again I ask what’s next? If you know what’s next go for it, if you’re still filled with anxiety, I would suggest working with an ontological coach. I feel my purpose it to share my story and my experience so others can shine. So take action and be the light our creator intended. Posted on May 9, 2012, in Spiritual Journey and tagged action, authentic, blog, book, empowered, Erma Bombeck, expansion, intention, Johann Wolfgan von Goethe, Lynn Erlinger, marathon, mark twain, ontological, ontological coach, power, samuel Langhorne Clemens, Success Trek Coaching, taking action. Bookmark the permalink. Leave a comment.